Are you First Nations and need drug or alcohol rehab? Last Door has provided addiction treatment to the First Nations People for 35 years. From across Canada, people have accessed our treatment beds. Call today for a telephone screening. 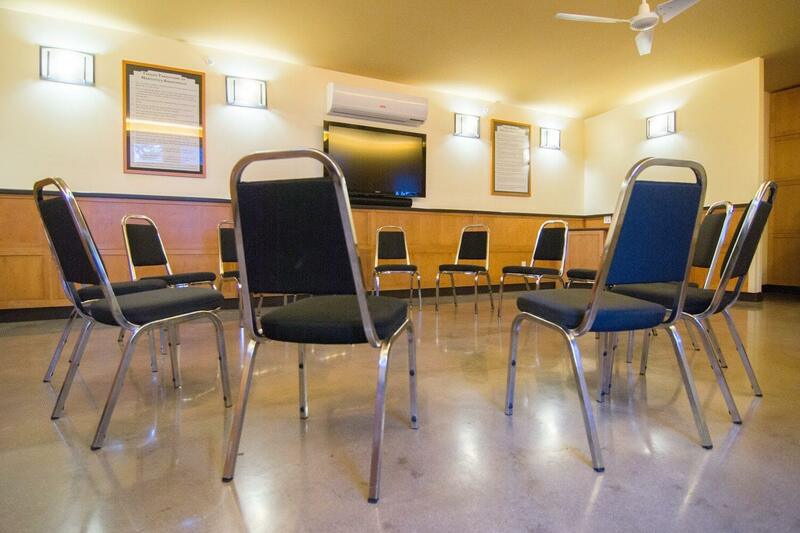 The First Nations community has faced many barriers to addiction services over the years. Getting into treatment can be difficult as can getting into a treatment program that meets your cultural needs. Last Door has worked with many First Nations people and has learned from them while they have learned from us. The Social Model program at Last Door is conducive to the sense of community that First Nations people are struggling to regain. While at Last Door First Nations individuals become part of a vibrant and powerful and spiritual “recovery community” that is respectful and inclusive of all spiritual beliefs. Community members share and learn together and contribute to the health and happiness of the community. Many First Nations members of the Last Door Community have returned to their home communities bringing not just themselves but a renewed spirit they share with others. Last Door does its best to remove the barriers to treatment for it’s First Nations applicants. Farrel: It’s been years and years of struggling, knowing that I’m an alcoholic but not willing to do anything about it. I had been through the treatment centers four times, and the four last ones were First Nations ones and sadly none of them took. My addiction brought me to so many lower and lower depths. You never know when you’re end or your bottom is going to come, but mine had to come otherwise I was going to die. The bottom line is I’d had enough, and I needed something different. I needed a change and I had a first nations cousin who had previously gone through The Last Door. He was even worse-off than me. He ended up in the Downtown Eastside doing his drug of choice in back alleys and stuff and the Door brought him from those depths to a place of relative sanity I guess. If it could do something for someone like that, then maybe this place has something to offer me? The Door promotes community at the same time being cultural sensitive to what I need to work through. They don’t discriminate; they deal with every ethnic background in here. Another thing the Last Door promotes is one addict helping another. That’s very important. I’ve had the good fortune of having other First Nations follow me into the program and I managed to take them to sweats and stuff and to them it made a big difference to know that “Okay, this isn’t just a center that jams the twelve steps down your throat.” They let you do what you need to do while keeping your cultural background in check. For me, they allowed me to be proud that I’m First Nations. Finally come to terms with how much shame I carry and to say that my name is Farrel and I’m an alcoholic is nothing but a gift for me and I’m able to sit. Would I recommend the Last Door to First Nations people? In a heartbeat. I have a lot of people within my community that suffer from alcoholism so you know, if there’s one suggestion I could possibly give to them, it’s the Last Door.